The interesting part starts about 8-10 posts down, then, it's about 40 pages of info. 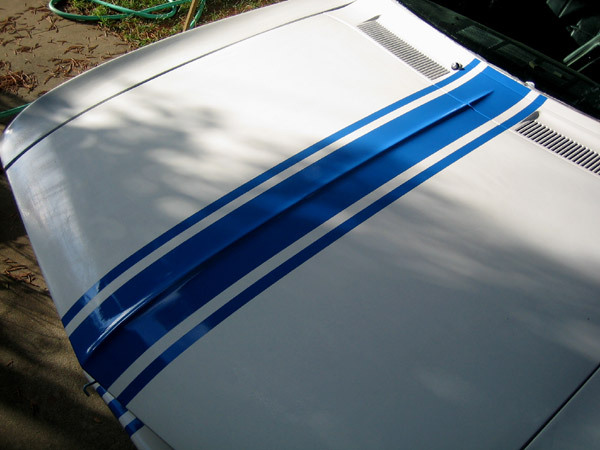 I have to say I considered the idea of rolling on paint as ridiculous, BUT, I just finished a few experimental coats on the hood of the Corvair, which, prior to prep, had seven year old Rustoleum rattle can paint, (well used race vehicles get no respect). I'm going to do the whole car. I mixed the Rustoleum (Tremclad = Rustoleum) paint 50/50 with mineral spirits, and used a 4" wide, high density foam roller, as instructed. Using the mineral spirits slows the flash and lets the paint self level very well. 2 coats - wet sand, 2 coats - wet sand, 2 coats - wet sand, let cure and then finish. Lots of elbow grease and patience involved but I suspect most folks here have much more sweat equity in their cars than wallet equity. Not a high zoot show finish, but, so far, it looks every bit as good as a single stage acrylic. As with all paint jobs, prep is 90% of the result. I wouldn't have believe it if i didn't see it! 200 cid with .030 overbore and head milled .060"
Clifford dual outlet header through turbo mufflers. 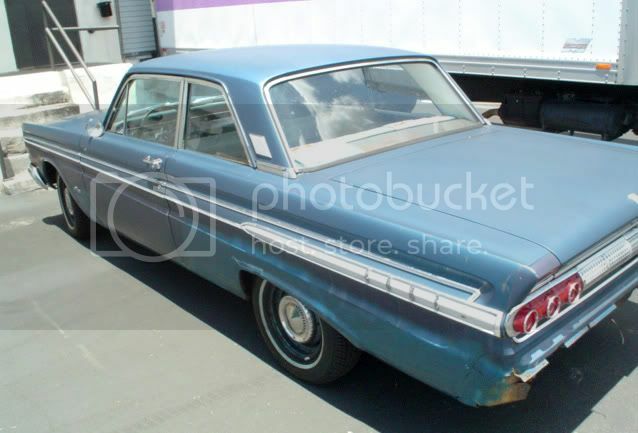 CAR:1964 Ford Fairlane 500 aka "Misty Blue"
ENGINE:170...030 over complete with solid lifters, aka "Black Magic 6"
99 VW Mk3 Jetta Wolfsburg, 2.0/5 speed "Jennie"
Well, THAT one is bookmarked. 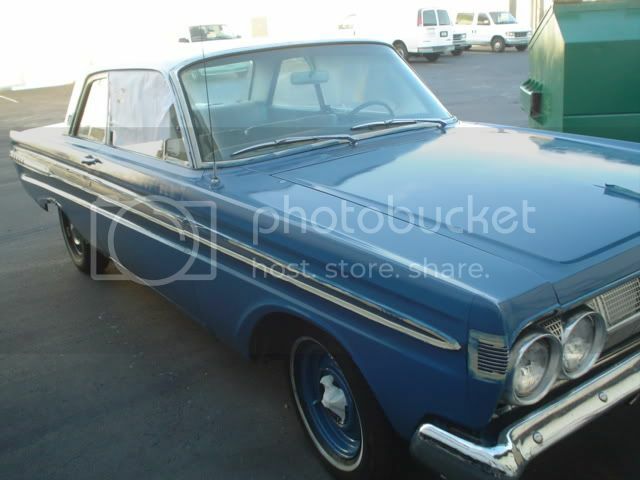 I know what I'll be doing when I get home this October...The Comet is gettin' a paintjob! That is very interesting. I think I might try it. 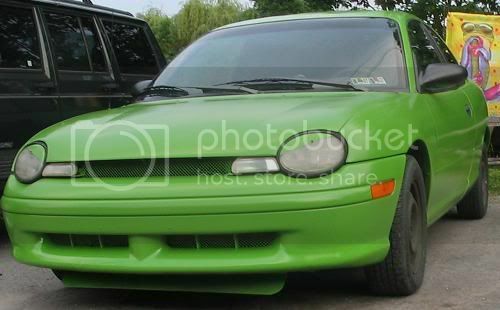 I have a crappy $700 paint job. There are tons of imperfections, some were there before I had it painted. But can you only do basic colors? No pearls or metallics? There aren't too many Rustoleum colors to choose from. Their web site lists the oil based rust paints they have available in a can. I don't know what kind of distribution you'd get trying to roll on pearls or metalics. My guess is that they'd be clumpy. 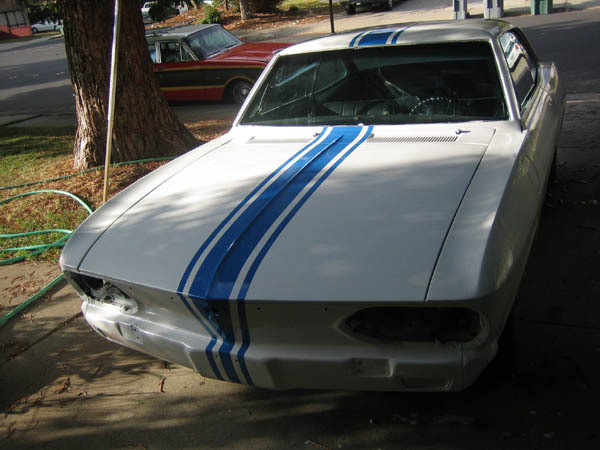 I'm doing white with a blue Yenko stripe on the Corvair. I'm only out $46 wallet dollars, so far. Time is another story. According to the guy on the other forum, pearls and metallics are a no-go because of the short length of time that they dry in. You gotta spray them or they'll "flash"-dry before you're halfway done with a roller. This is for a very period-correct look. I can remember before they switched to base/clear and I like the look of a well-buffed single stage better. It may not be quite as shiny, but the colors are very rich. As a bonus, you can repair chips easily. if u want metallic just take some craft glitter and put it on the paint while its wet, then when the paint is dry just brush off the excess.....hehe. At the very least, when I replace my front fenders I am going to try this on one of the old fenders and see how it looks in person. I'm not saying I would do this, but I am awfully curious. I think i might try this out and if it is as durable as said it might be a replacement for acrylic enamel (Professionals please speak up if its still better to do acrylic enamel for whatever reasons..ie durability or whatever)...i usually find myself wetsanding and polishing anyways to get a really nice orange peel free shine. where do you get this paint, cause I heard that termclad paint is not available in the US, but I would be interested in doing this I just don;t know what paint to use ? According to posts later in the thread, that paint is the Canadian brand name for Rustolium. Don't have closeups yet but I gotta say the pics are a little better looking than in person, I've got a lot of orange peel and some drips I didn't spend the time sanding out, but I'm way better off than what I started out with! I hope that paint on your trim is over tape. What a pain it will be to clean that off. ... But it's going to have to go on again, unless I can find a way to keep somebody 6 feet away from the car at all times, or only take it out at night, in which cases it looks great! not too shabby for how little you spent. good work. Not too shabby! At the least, it's a big improvement over what it was. I want to do it even more now. 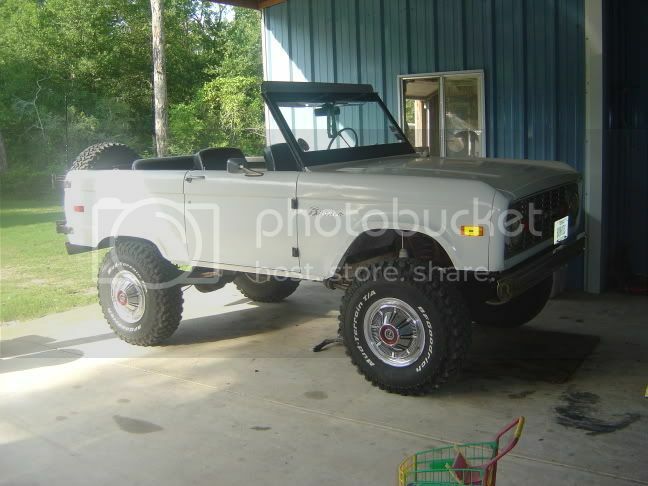 I think I got Saturday free....I have the doors and fenders off my stang. Doin' it one little step at a time. I know this is basically Rust-Oleum thinned with mineral spirits. 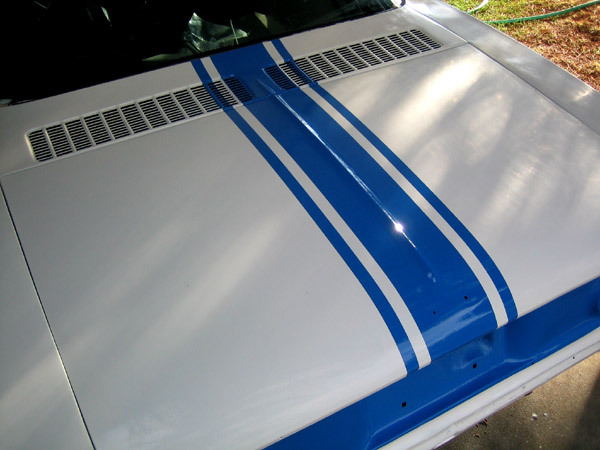 I want to try this on my red 1980 Mustang. Anyone know what its effect would be on the enduraflex rubberized plastic nose? Im thinking the plastic/rubber stuff and the mineral spirits wont play well together. just curious if any body else has tried this? Hi all, here's an update on the almost finished Corvair. All that's left is to buff the gloss back up, and reassemble the car. I used a little over two quarts of paint, total. Man, that was a LOT of wet sanding. Stinger stripe came out nice! Next car I do (probably the Alfa) will definitely be done in my garage with a roller. I was trying to find something about T-5 installs on your website the other day (and failed). Made me realise though, how much you have up - what a great asset it is, too. When you retire a site index may be in order! "Here's a pic of my Ford flywheel...here's a pic of my Alfa pressure plate, they fit together... trust me..."
I -really- need to clean up the old site. A lot of the info there is kind of... half there, half assumed. Someday this winter (that would be SUMMER to you lucky Aussies) I'll sit down on a rainy, freezing cold day, and try to update all the pages with complete info that requires no (or maybe just minimal) guessing. 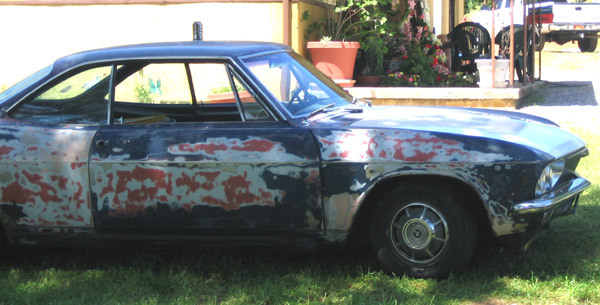 You used the Rustoleum for that Corvair? You may have to do a more detailed post on your technique some time. That really came out nice! We need more here. That is a great job...even more pressure for me to try it. I just checked out your website and I see you have more details there. I will be very curious to see pictures after the final buff-out. Just curious... Would this be a good short-term method to use? 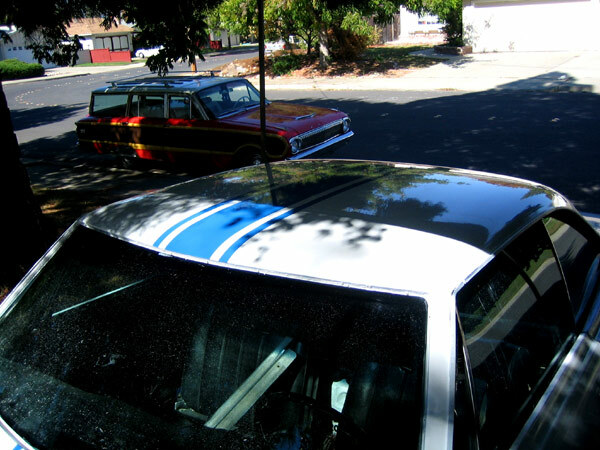 I had always planned to have the car professionally painted someday when the body work is done, but the cost was going to cause me to have a cheaper paint job or wait a couple of years to build up a paint fund. 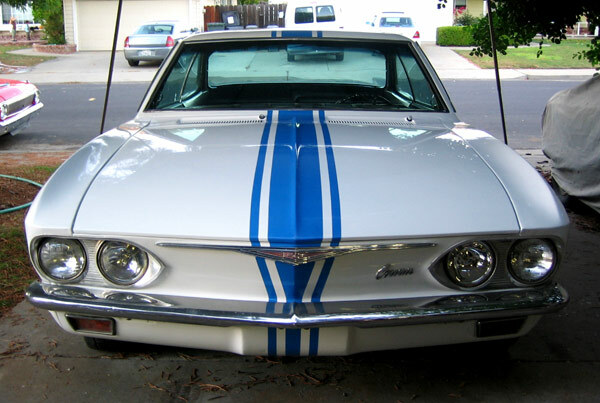 I am thinking I could do this as a band-aid after I get the rest of the front end sheetmetal repaired/replaced and then wait a couple of years to build that paint budget (I am tired of having a multi-colored car). Would doing this cause problems for the painters down the road? It's just paint...it should strip off like any other. From what I've read on the moparts.com forum, there hasn't been much trouble removing (or just painting over) the cheap paint if it has been thinned properly. I thinned about 50/50 paint to mineral spirits. This made each layer, well, pretty darned thin! Each layer dries completely between coats when the paint is thin enough. It took 5 coats to get full coverage, and then 2 more for good measure. If you were to get impatient with the amount of coats it takes to get full coverage and roll the rustoleum on unthinned, you'd have a mess on your hands. Unthinned rustoleum would probably take several weeks, per coat, to effectively dry, if at all. This is where all the warnings from pro paint guys are true. Unthinned, the stuff will gum and ball up when sanded, and just be a disaster in general. Unthinned, It would still come off with chemical strippers, no problem, but jeez what a mess. Thinned and dry, you can sand it right off with no gumming or balling up. When I hit cones (and I will), I can touch up any dings, very easily. Just make sure you thin the paint, and let it get good and dry between coats and sanding. This time of year, getting two coats a day to dry will be iffy. It is what it is, a low budget paint job requiring very little money or equipment, and not much skill, but a lot of time and patience... and sanding. I'm quite happy with my results now. We'll see what it looks like in a few years. I'm sure Rustoleum white will still be available in 2010, though. I don't know if I'll actually do it, but the idea does fascinate me... or the cheapskate in me. Don't get me wrong, I would love to have a body shop give my car the works and then put a $5000 paint job on it, but the practical side of me then imagines the stroke I would have when the first stone chip appears. IF I am to do this, I would study that 40 something page thread. I have skimmed it and it is full of good lessons learned. Next, it wouldn't be till next Summer. I still have bodywork to get done (I need to hang the new fenders and valence panel and I need new shock towers, some front frame rail patching and maybe cowl repairs). Honestly though, I am afraid that the final outcome will not meet my expectations. 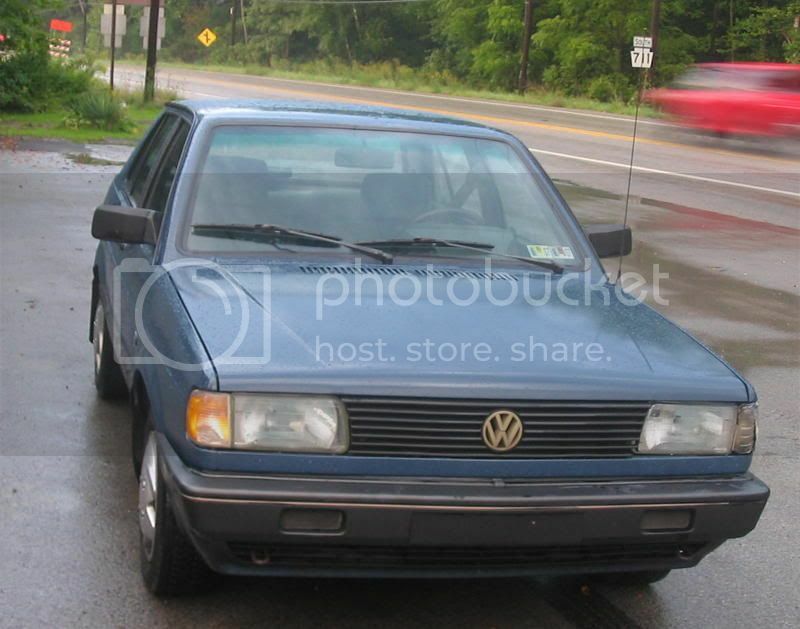 I am kind of a perfectionist and have owned this car for 19 years and have tried to to skimp anywhere whenever possible. I would hate to put all this time and effort into it and then have a orange peel covered mess. I will have to see what the results look like in person to truly convince me. What I plan to do is save the best of the two fenders (and they are both pretty bad) and try it as though I was painting the actual car (all the way to polishing with Porter Cable 7424 6" Orbital Polisher and some pro-grade polish). If it looks good...who knows. Oh yeah, there is one other problem too. Inside the cowl, the paint has started peeling/flaking like crazy. Since the cowl cover is not removable... how would I clean up the old flaking paint and then get new paint down there? 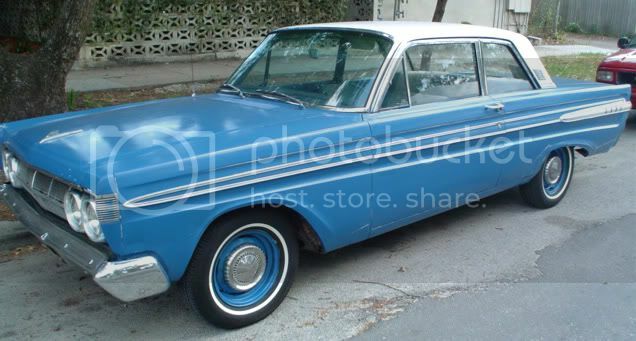 I'd be highly surprised if it can't be tinted with regular enamel tinters. As to the inner cowl - always a good one. No real subsitute for patience. In CA, Rustoleum quarts are available in only six or seven basic colors. Before you do this, you should really sit down for a few hours and read the moparts forum thread, in 2 pieces, on the subject (link in first post). It's 80+ pages and much is rehashing, but it contains info, experiments, and results from dozens that have tried this. With good and bad results. I really wasn't expecting much, other than a car that -wasn't- 99 different colors joined together by surface rust. Something I could park on the street without embarrassment. I was mildy surprised at the hood test, and even more so by the finished car. I think it turned out great. I did use white, which, according to the moparts thread, is the easiest color to do. Thin with mineral spirits, no matter what the can says. 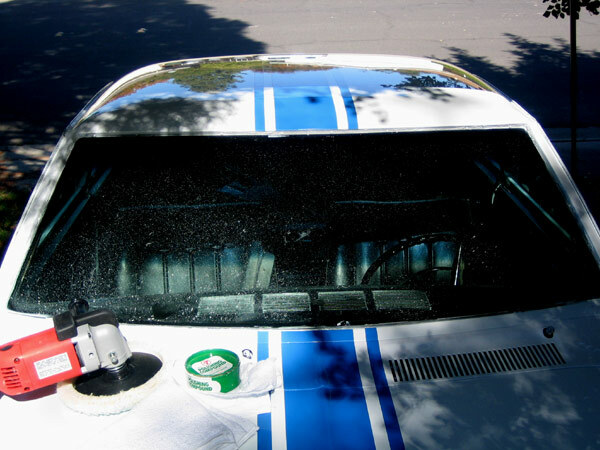 most inner cowls have overspray in there. that's about it. i don't think they were painted originally other than that. That's been my impression; just the factory primer that was applied prior to panels being spotwelded together, and any overspray on top of that. I was planning on seriously studing that post. I have skimmed most of it at least twice (once a few months ago, then again in the last day or two) and your right, there is a lot of hard earned knowledge and experience mixed in with a lot of repetition. I buffed out the Corvair today. It came out very glossy. I also started putting it back together. 3rd pic down has Ford six content. Rick, I'm direct linking to your paint page for another forum's edification. I'll also provide the main link. Let me start by saying I painted a BroncoII 5 years ago or so using this method and the results were quite good. The only problem I had is that Tremclad paint itself is not very hard and it's fade resistance is very poor. 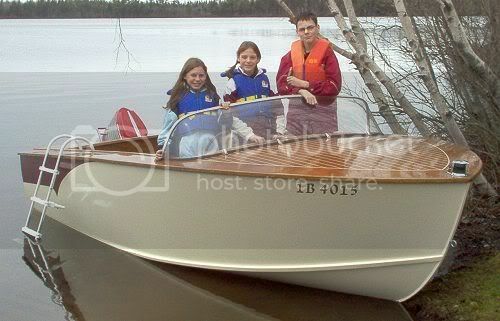 I built a boat a couple of years ago and I painted it with a roller and brush using Interlux brightsides polyurethane http://www.mermaidmarine.com/index.cfm?CFID=21104838&CFTOKEN=26632994&do=detail&productID=8921120 . This stuff is expensive ($40 CDN a quart) but the results were incredible. It really looked like I had sprayed it. The stuff is tough, I'm on my second season and it still hanging in there hard and shiny. So... 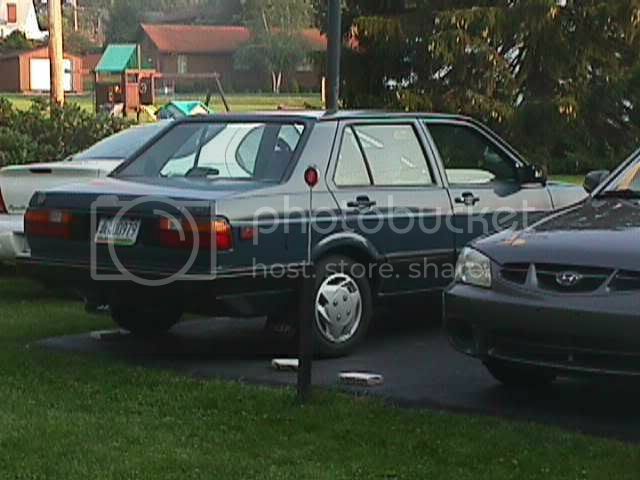 I'm going to take a run at my 95 Honda Civic beater with it. I'll post my experiences... Here is what it looks like on the boat.. I spent a couple of hours last weekend reading the whole post (I didn't even realize there was a part II till then) and whew! It is amazing the difference you saw from car to car. I guess it comes down to prep and patience. It seems the people with all the problems were not mixing it thin enough, waiting enough time between coats or wet sanding between coats properly. I am thoroughly convinced that I will try a fender at the least. 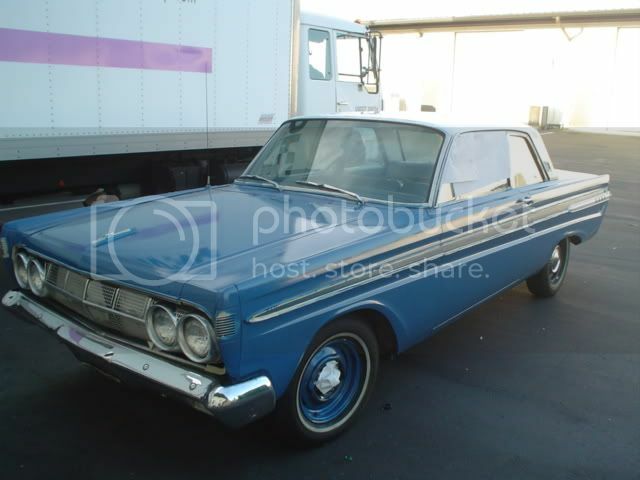 Now, I just have to decide between the Interlux Brightside paint (marine) or Rustoleum as well as the color issue. It seems like the only way to get custom colors is to mix different shades of existing paints. The only problem is that, for example, to get dark red you do not mix red and black. There is some other combination. I am thinking to get a Burgundy at least close to my color will take experimentation (red and blue?). "It seems like the only way to get custom colors is to mix different shades of existing paints. The only problem is that, for example, to get dark red you do not mix red and black. There is some other combination. I am thinking to get a Burgundy at least close to my color will take experimentation (red and blue?)." Maybe take a trip down to your local home improvement store's paint department. Find a paint chip close to what color you want and ask if they can tell you what quantities and colors of tints make that color. Might be a good starting place. I have used rustoleum on a couple cars, granted i opted to use an HVLP spray gun instead of the rollers, simply because i have one. Metallics are possible. Use rustoleum "aluminum" color. Did a VW Fox that way. Any color you can dream of is also possible. 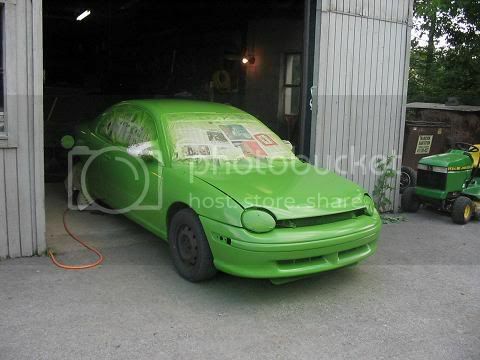 I have 24 dollars in materials for the paint on my neon, the Fox was 32 bucks all told. 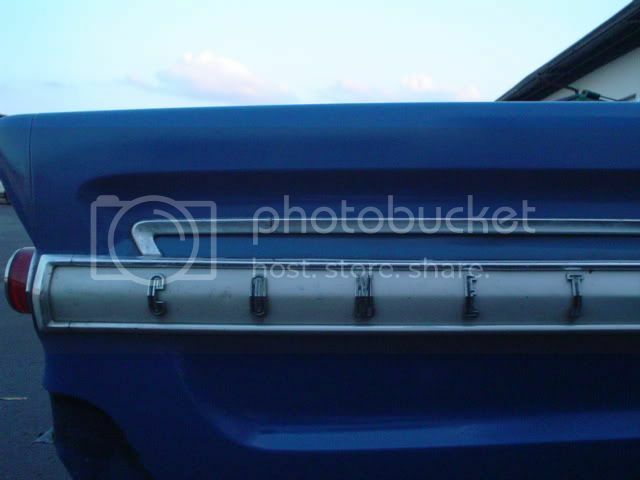 I used sail blue, carnival red, black, and aluminum to get a color that almost exactly matched the original color in the trunk of the car. I apologize for the terrible pics, my camera isn't the greatest. 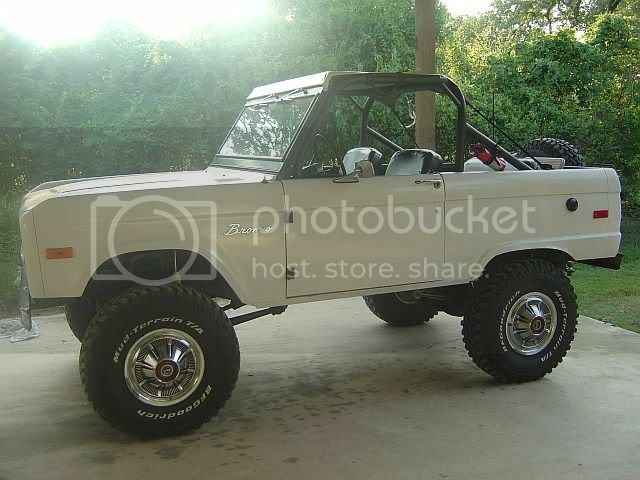 Just sliding in here...that is what my bronco is painted with, Rustoleum. I sprayed the fenders/body/hood w/ a "high volume/low pressure" sprayer, but ended up rolling the doors ('cause I got them at a later date). It is only about 2-3 coats with no sanding inbetween. I will let you know this, the tint is different from the gallons/pints cans than the rattle/spray cans. So you either use a rattle can or use the gallon/pint cans, I found out the hard way trying to touch-up my hood one time. 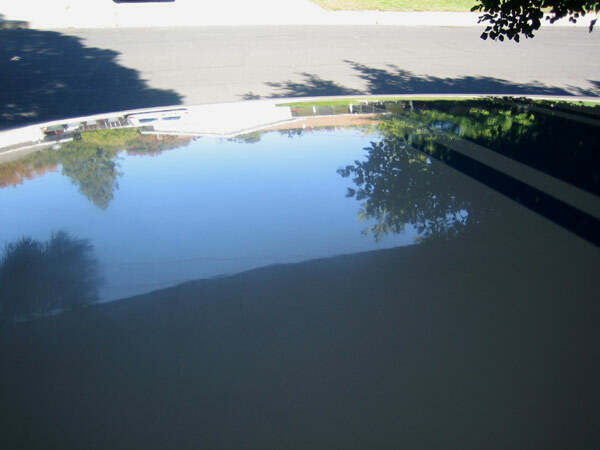 But the best part is touch-up on scratches, dings, etc... almost can not be noticed when done w/ Rustoleum (well, that's while you are cruising down the highway or looking at the paint from far away). No really, touch up is a snap, and it blends well. Poor-man's high dollar paint job! So far it looks half decent- cant tell till tomorrow when the sunlight hits it. results varied in some places- some parts came out better than others, but then again, i could have actually prepped better.